If you're bringing a new dog home, help him adjust smoothly. Purchase all of his essential supplies beforehand, spending a lot of time with him and establishing firm behavioral guidelines and rules. Since new environments can make dogs feel anxious and overwhelmed at first, patience is key. Plan for your new dog's arrival by readying all of his "must-have" supplies beforehand. These include his water bowls, food bowls, food, toys, brushes, bedding, pet gates, leash and collar. If you acquired your dog from a shelter, rescue organization or previous owner, for example, ask if you can have something the dog "owned" before, say a toy ball. Little pieces of familiarity can be highly comforting to dogs amidst stressful transitional periods. If possible, bring your new dog home when you know you can enjoy uninterrupted time with him for a few days -- think an extended holiday weekend. This will allow you the opportunity to properly acquaint yourself and perhaps build a bond with the newest furry member of your household. If you're able to take time off from your job to be with your new dog, that can help a lot. If other animals live in your household, take them to the veterinarian before they encounter your new addition to make sure all of their vaccinations are current. This is important especially if your new dog is coming from an environment where he was around many other animals. Animals occasionally contract viruses in such settings. Schedule a veterinary appointment for your new dog for no more than one week after bringing him home. The veterinarian will assess his health and administer any shots he might require. Provide training for your new dog. Approach the situation like he's never received house-training before. Make a firm routine for him and don't stray from it. Go for lengthy leashed walks with him. As soon as he eliminates, lavish him with enthusiastic praise and reward him yummy treats, a petting session or playtime. Utilize a spacious and comfortable crate for obedience training and housebreaking purposes. Not only can a crate serve as a cozy space for your dog, it can also facilitate the training process. Remember to establish structure and rules for your dog. Letting him do whatever he wants can lead to future behavioral problems. If you're planning a move with an existing pet to a different residence, that's a whole other ballgame that can be a lot easier. 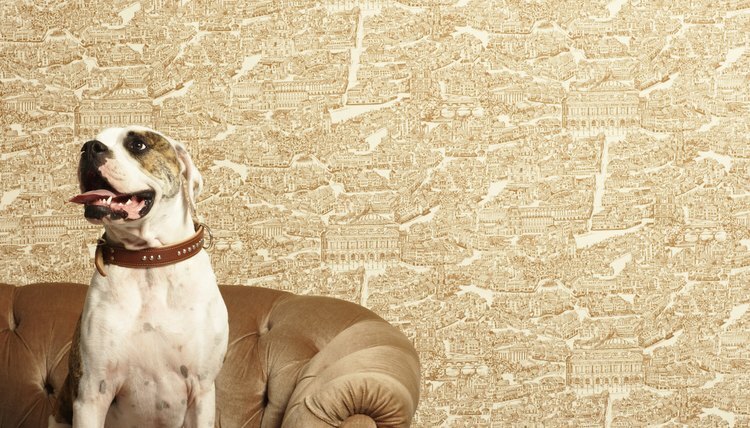 Dogs do need assistance in adapting to new homes, even if their owners are with them. Help your dog adjust to a new house by going the extra mile to keep up his day-to-day routine. Take him on walks at the same times as before. Feed him at the same times. Don't forget to pack some of your pet's comforting preferred toys and blankets. Give him lots of love and attention in the form of petting sessions. Even if you're busy running around unpacking from a move, prioritize your dog's emotional well-being.